Throughout the summer - each Monday evening - there will be an opportunity for visitors to experience island hospitality. During the evening there will be natural history and heritage talks, music performances and lovely things to eat and drink. A wreath dedicated to the people of Tiree during WWII will be thrown overboard from one of the Cunard shipping fleet in the next couple of days. It commemorates the wrecking of the destroyer HMS Sturdy on the rocks at Sandaig during a storm in October 1940. Five lives were lost, but were it not for the actions of Tiree folk, in particular Captain Donald Sinclair, the toll would have been much higher. 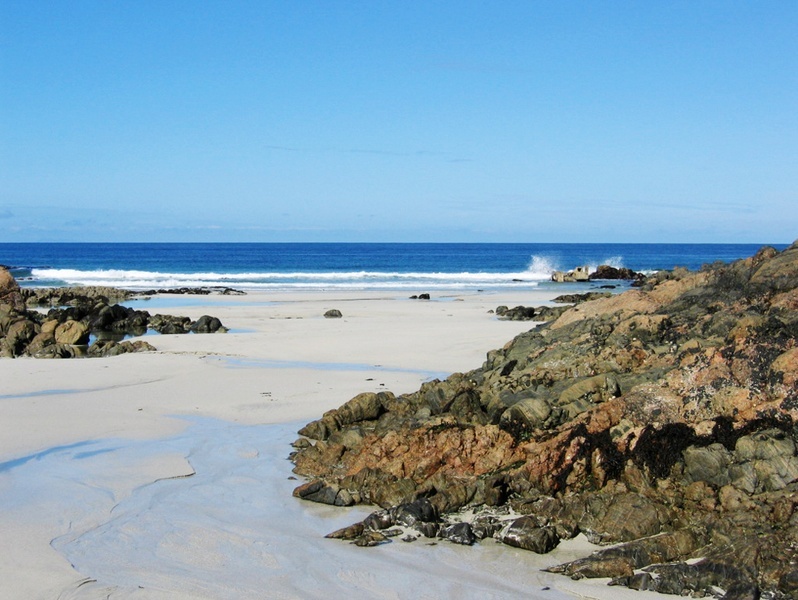 A woman from Edinburgh has written to the Oban Times to declare her love for Tiree, saying the islanders must be the ‘friendliest in the world’. 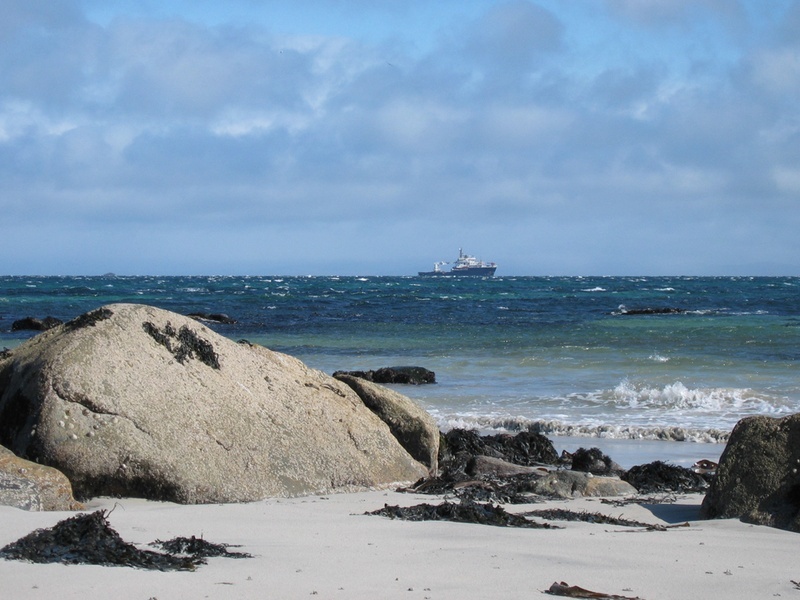 Marine Scotland is launching its first national survey of tourism and recreation around the Scottish coast and seas. 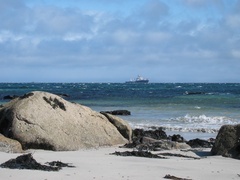 The survey will help ensure that marine and coastal recreation is appropriately recognised in the planning process, providing the kind of information needed to be considered alongside other activities like shipping, off-shore renewables and fish farming. It will also help justify and guide future investment in facilities and infrastructure and will ensure that the importance of marine recreation and tourism businesses for the Scottish economy is properly recognised. Please assist in helping us get the largest response we can. The survey is in two parts. The first is aimed at individual and clubs who undertake recreation around the Scottish coastline and aims to find out which areas are important for recreation and why. To complete this survey please click here. Everyone who completes this survey will have an opportunity to enter our prize draw. The second part of the survey is focused on businesses who are involved in marine recreation and tourism, for example operating marinas, charter boats, visitor centres or equipment supplies. To access the business survey can be access please click here. The survey will run from 1st August until 31st October 2015. The Fèis Thiriodh committee are pleased to report that dates have been set and preparations are going well for this year’s event. The weeklong event of workshops, ceilidhs, talks and much more will be taking place from Sunday 5th to Friday 10th of July and we are excited to welcome back Tiree favourites ‘Trail West’ as our main tutors for the special 25th Anniversary event. Joining Trail West regulars; Ian, Alain and Andrew will be a host of other talented tutors who are all well-known to Tiree, including; Jamie MacDonald, Artair Donald, Iona Brown, John Angus MacKinnon, Eilidh MacFadyen, Eleanor Sinclair, John Holliday, Tara Rankin, Scott Wood, Linda MacLeod. The 5 day tutoring event offers children aged 9 and over and adults, the opportunity to try their hand at a variety of different workshops including; accordion, guitar, pipes, drums, fiddle, flute/whistle, highland dancing, Gaelic conversation and film making. For the under 8 year olds, Fèis Bheag will run throughout the week along with Fèis Bheag Bheag running on four days for the under 5s. As well as the day time workshops and activities we will also be running various evening and fringe events, which have proven to be very popular over the years. To celebrate our 25th Anniversary we are organising a ‘Ceilidh Ceann-bliadhna’ – Anniversary Concert – for the Monday evening. This will showcase a host of extremely talented and now famous past tutors and students returning to Fèis Thiriodh to entertain us with music, singing and dancing, which we hope will put everyone in the mood for a weeklong celebration of events. Other events will include; the popular children’s dance, a talk by Ian Smith on the history of whisky on Tiree and of course, the closing dance on the Friday evening, which will be led by Trail West. After taking a year off last year we have also decided to bring back the very popular ‘Muse Cruise’ on the Thursday afternoon. This will see Fèis Thiriodh being transported on a six hour floating session with the tutors on the MV Clansman for a round trip to Barra and back. 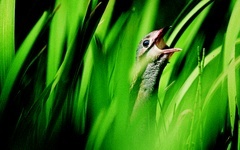 Come along to sing, play or just listen. 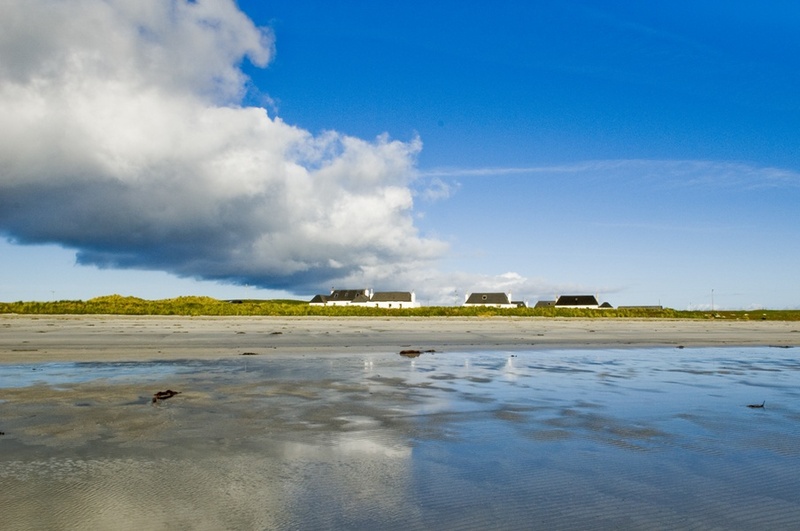 We only have to look at the numerous successful bands and musicians that hail from Tiree to realise that Fèis Thiriodh has had a very influential and successful 25 years, providing music and culture workshops and events to locals and visitors alike. We hope that you are all looking forward to Fèis 2015 and will join us to celebrate and ensure the 25th Annual Fèis is as popular and successful as previous Fèisean. 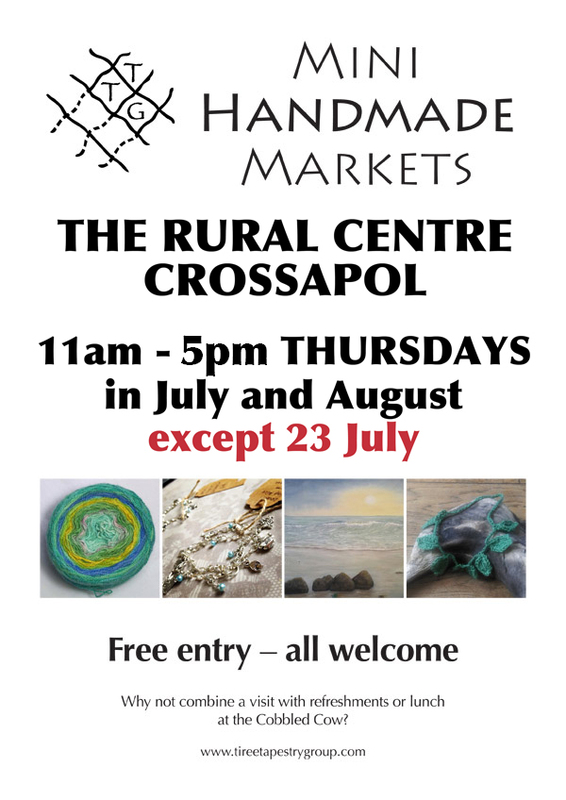 Tiree Tapestry Group is holding a series of mini handmade markets at the Rural Centre, Crossapol, throughout July and August – every Thursday, 11 – 5, except 23rd July. 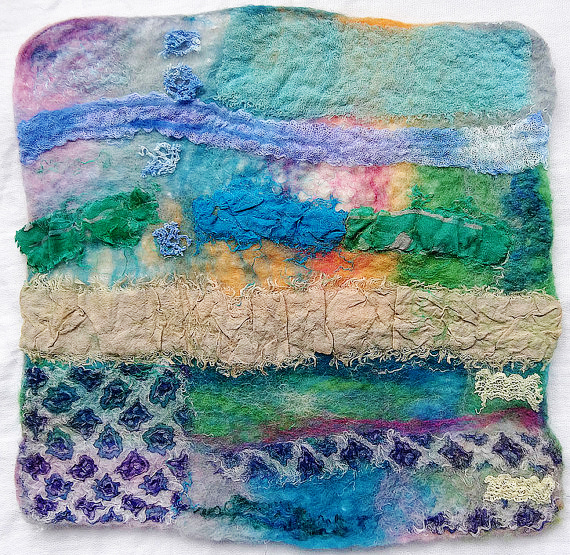 We will showcase the work of makers on or connected to Tiree (and possibly Coll too) with a range of arts and crafts to buy. Sometimes there may be local produce on sale. Entry is free. We hope to raise some funds for TTG and at the same time support small local producers in a very practical way. 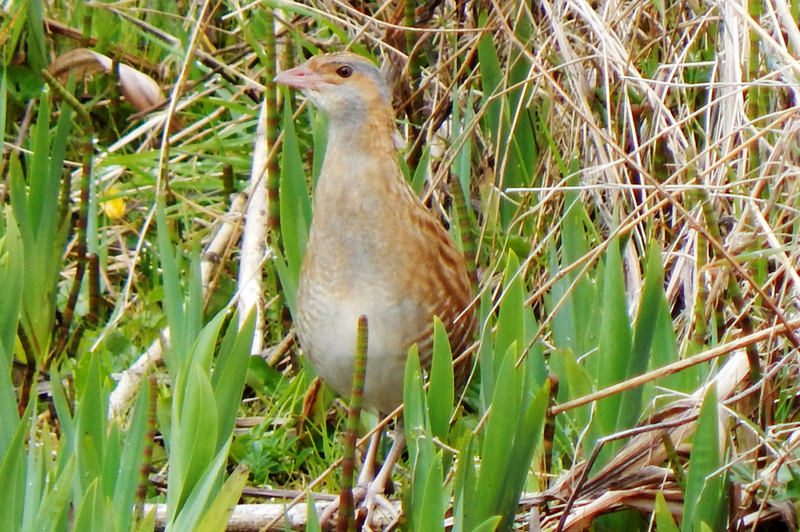 The Tiree Ranger Service has created a slide show of photos at the Rural Centre. Do you have any interesting photos of the natural heritage of the island - wildlife, flowers, dark skies, sea creatures or landscapes? 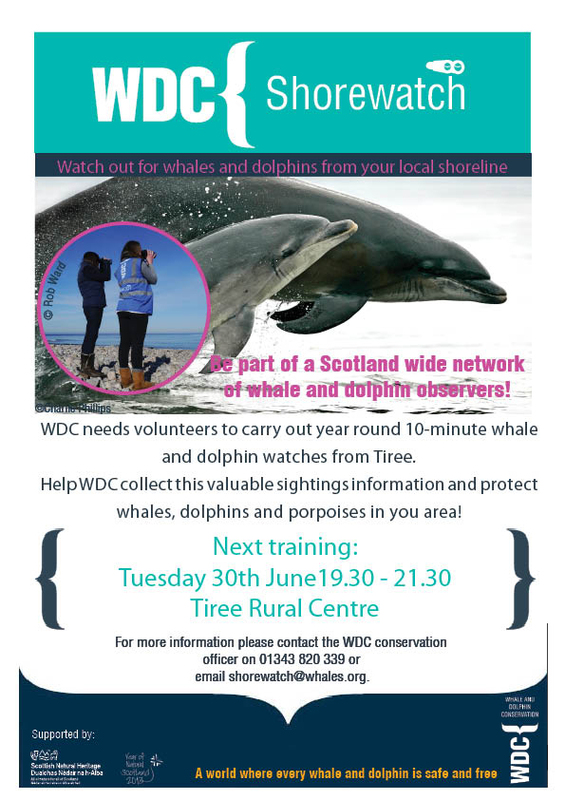 If you do - and would like us to include them in the slide show - please email them to the Ranger at accesstrd@tireebroadband.com with your name, address and phone number. Alternatively, if you speak to the Ranger directly - it may be possible to make a copy at the Rural Centre. 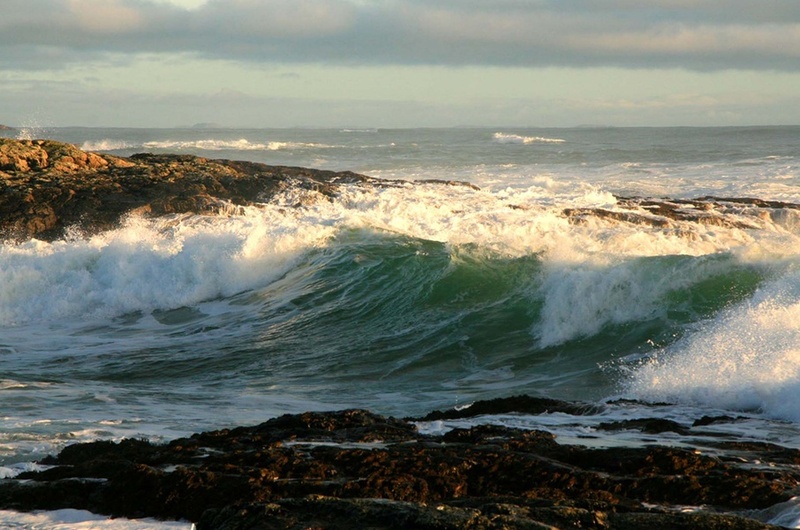 Wild Diamond Water sports based on the Isle of Tiree have been sanctioned by the British Wavesailing Association to act as the official event hosts for the Tiree Wave Classic in October this year. We are delighted to be in a position where Tiree residents will now, for the first time in the Event’s history, be able to control the direction and success of the windsurfing event that is in its 29th year on Tiree. Key changes for 2015 will involve much more participation from local businesses and community groups on the island. Tiree Wave Classic is the longest running professional windsurfing event in the world. 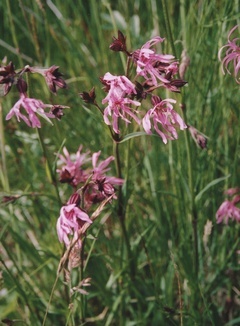 It was founded in 1986 and has run to the present day. It showcases the best of the UK’s windsurfing talent across a number of fleets ranging from Juniors to World Cup Professional Windsurfers. 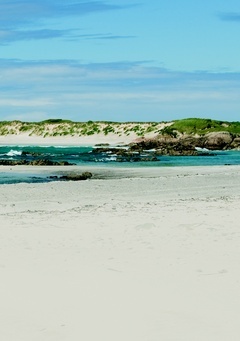 The Event is hosted from 2015 onward by Wild Diamond Watersports – a company based on the Isle of Tiree who have been involved with The Event almost since it’s conception. Our Social Media has had a slight refresh so please show your support by logging on and liking / following us online! Dates have been announced for next year's Feis Thiriodh. Next year will be the 25th anniversay of the event - and a cause for celebration. Check out their website for more details feis-thiriodh. Tiree Music Festival has announced iconic Scottish band The Fratellis as the headline act for this year’s festival taking place 17-19th of July. Tickets will go on sale at 5pm on Monday 23rd March and will be available from www.tireemusicfestival.co.uk. It will be The Fratellis only Scottish festival this summer when they close the festival on the main stage on the Sunday 19th. Other acts confirmed to play the multi-award-winning festival are We Banjo 3, Skerryvore, Manran. Gentlemen of Few, Skipinnish, The Chaplins, Cherry Grove, Trail West, Gunna Sound, Dun Mor, The Lowground and Chunks with many more still to be announced. The six finalists of the BBC Radio Scotland Young Traditional Musician of the Year, and the 2013’s winner, are coming to Tiree next month and will showcase the best young traditional talent in Scotland. This year's band of the nation's finest young talent, also brings a cross-section of the country's regional folk scenes to the table. Whilst most of the musicians are now based in Glasgow and Edinburgh's thriving folk scenes, they were all brought up surrounded by diverse traditions. The participants are, Robyn Stapleton, Paddy Callaghan, Neil Ewart, Mhairi Marwick, Jack Badcock, Alistair Iain Paterson and Tiree’s very own Ian Smith. This is a night not to be missed! For more details of the tour visit the TMSA website tmsa.org.uk. The Tiree Wave Classic is the most prestigious and longest standing windsurfing event on the British calender, this year celebrating its 27th Anniversary. From the 11th -17th of October the event will play host to Britain’s best riders in Pro, Amateur, Masters and Women’s fleets with a fantastic prize fund guaranteeing the top Pro £1000 and as well as many other top prizes for the other fleets! 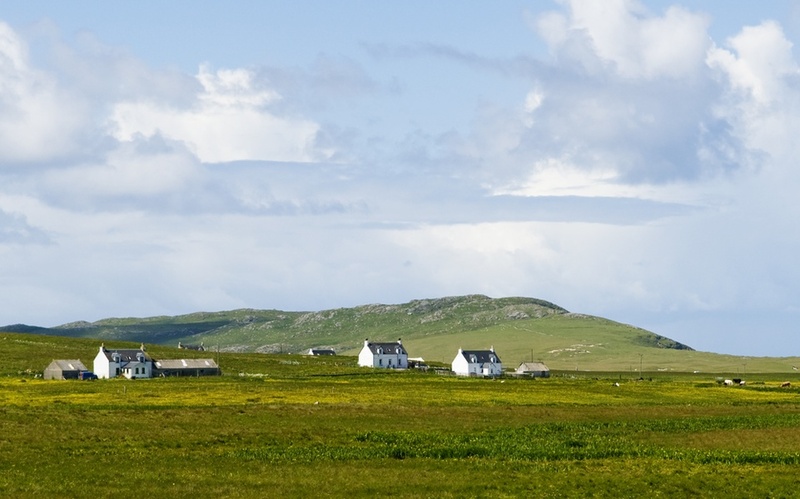 It is set to be an unmissable, adrenaline fuelled week of competition and entertainment set against the breathtaking backdrop of Tiree’s spectacular scenery. Who will pull the Scottish Broadsword from the sand? The event will be funded by Event Scotand in association with Argyll & Bute Council so a big thank you for their continued support along with event hosts Pura Vida Boardriders. The event would also not be possible without the organisation and help from the British Wavesailing Association. 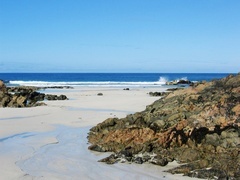 At the beginning of June a new book about Tiree was launched. The Secret Island explores different aspects of the history of the island since 1745 and in through the contribution of 18 different authors a fascinating story of the past unfolds. Tiree's very own Gordon Scott, Iain Smith, Iona Brown and John Bowler contribute chapters on the church, the Balephuil fishing disaster, Tiree gaelic and history of birds and their habitats. 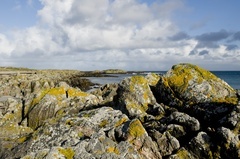 Professor Donald Meek has written four chapters, on the land struggle, transport, Non -Conformist churches and the Rev John Gregorson Campbell, and Lesley Ferguson discusses the work of the archaeologist Erskine Beveridge on Coll and Tiree. The book is a real treasure house for those seeking historical knowledge of the island and varied perspectives on its past. The book was born after the huge success of the Secret Island history conference last year. 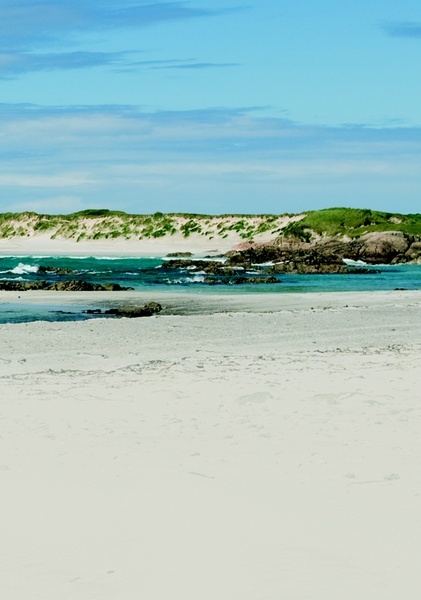 Up until the publication and launch of The Secret Island last week, Tiree was one of the very few Hebridean islands without a full-length recent book which covered its remarkable history. Dr John Holliday, chair of An Iodhlann, which organised last year’s conference said ,”It is really wonderful to have this book as a permanent record of so many aspects of the island’s past and it is a real step forward in trying to understand the secrets of this very special place.” The 425 page book is priced at £12 and is available at An Iodhlann, the Tiree Business Centre and also may be bought in all good bookshops. It makes a wonderful read! 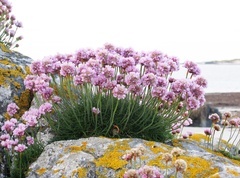 His new post has been put in place after long and detailed applications made by John Bowler, a director of Tiree Rural Development Ltd, to Scottish Natural Heritage and various other organisations for funding. 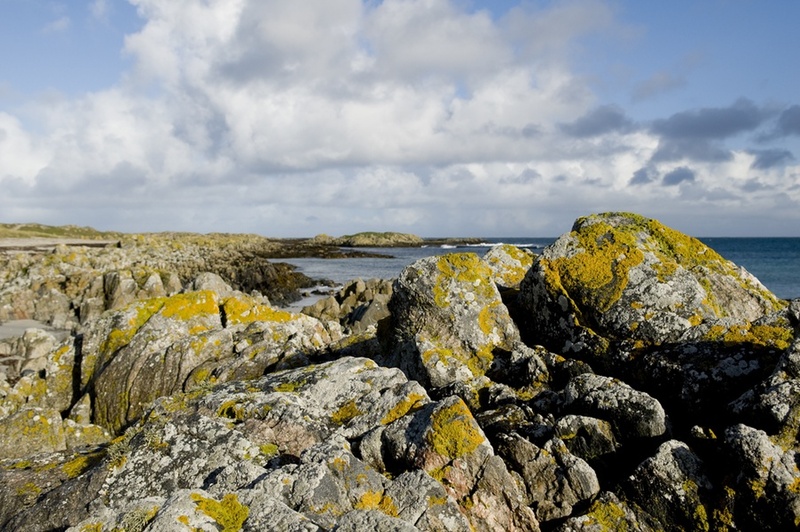 John's laborious efforts paid off with the announcement that Tiree is to join other areas across Scotland that already have a Ranger service. These include: Orkney, North Harris, Rum, Mull & Iona, Mount Stuart Isle of Bute, and many more including Dundee, Stirling, Angus and Scapa Flow. Stephen's many duties include welcoming and leafletting the drivers of camper vans, motor homes and caravans to make sure that they are informed of the need to protect the sensitive machair. He will be based in the Rural Centre and will also have the task of producing heritage brochures and leaflets for Tiree Chapels, using Tiree roads, local birds, maps and wildlife and heritage guides. Stephen will also be responsible for evolving natural heritage activities for children, including working with Tiree's Beaver Scouts and youngsters at the school. Other areas of his workload includes disabled access, organising guided walks, off road parking areas, and reporting his Ranger activities and news in An Tirisdeach. Fortunately for Stephen his last job in the policy unit of the chief executive's office in Northumberland Council involved him in some similar work. He first came to Tiree as a kite surfer and moved three years ago, working as a qualified electrician until the job of Ranger came up. Stephen's three year job contract is funded by the Heritage Lottery Fund; Scottish Natural Heritage; Discover Tiree, and Tiree Trust. 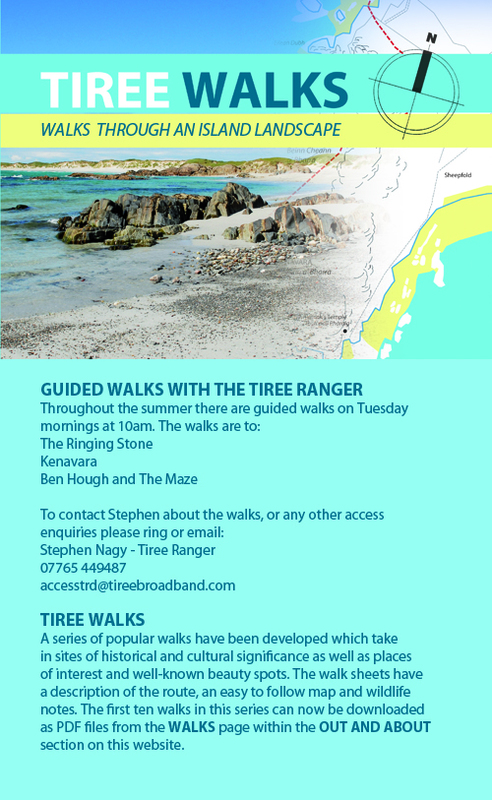 Ranger events and downloadable walks etc will also be publicised through the new Discover Tiree web-site an by way of the innovative new Tiree phone app, which will work on both phone and tablet. Tiree is often referred to as 'the sunshine island' and in July that was certainly the case. Met Office records reveal that on Saturday 20 July, the island recorded the longest period of uninterrupted sunshine in the whole of the UK - sixteen hours. It's been announced that Capercaillie will be heading a eclectic line-up at TMF this summer. The music festival, well established now as a major summer event, will also have Roddy Hart and the Lonesome Fire, Skerryvore, Manran, Blazing Fiddles and Wasington Irving sharing the stage. The dates for 2013 are 20 and 21 July. In addition to the music from the main stage - there will be a community village and family campsite, music workshops, watersports, beach sports and fesitval food!!! To check out all the details visit the TMF website - www.tireemusicfestival.co.uk. Tiree Feis have announced that - as a new development - two bands will share the teaching duties - Trail West and the Scott Wood Trio. The tutors confirmed are Ian Smith (accordian), Ander Findlater (drums) and Aileen Campbell (guitar and pipes), Scott Wood (pipes and whistle), Mhairi MacKinnon (fiddle) and Ron Jappy (guitar) and Linda MacLeod (singing). Other new developments are a programme for younger and older customers - with Feis Bheag catering for 5 to 8 year olds and Feis na Feise for more advanced players. The 'Muse Cruise' - which was so successful last year - will be on the programme again and Thursday will see the whole cast list of tutors heading off to Barra for an afternoon of dancing, singing and playing. It was with great excitement that Tiree Community Business (TCB) opened the new zip wire on Saturday 22nd December. This new piece of equipment, generously funded by The Windfall Fund, was selected by the island’s youngsters by a ballot in the summer and thanks to the hard work of Cameron Smith is now ready to use and enjoy. TCB would like to thank Tiree Community Development Trust, ACHA, MacLennan Motors and of course Cameron. Cameron Smith wishes to thank the following for their help in building the zip wire: Iain MacKinnon (Parkie); Lachie Brown; Bruce Kemp; Mark Beese; Archie & Margaret MacLean (Crossapol); and MacLennan Motors. We hope you enjoy this fabulous new piece of equipment. The Renewable Energy & Asset Finance Department of The Co-operative Bank sent a photographer to Tiree recently for a photoshoot for some forthcoming marketing products promoting some highlights of the work The Co-operative does to protect the environment. They identified ‘Tilley’ as a project which they wish to include as an example of a successful community renewables story, and in particular, one that is ahead of the game in terms of community renewable projects. The photo on the left shows, from left to right, Sophie Isaacson, Pat Campbell, Mark Armstrong, Trudy MacKenzie, Andy & Anya Wright, Hannah & Blythe Wright, Ann Kirby, Jim Michie, and Iain MacDonald. Coll and Tiree provided a ‘hive’ of activity, with experts converging on the islands during National Insect Week. Visitors included Bob Dawson representing the Bumblebee Conservation Trust and a group of four entomologists; including Darren Mann (Oxford University Museum of Natural History), Geoff Hancock (Hunterian Museum, Glasgow), Garth Foster (Aquatic Coleoptera Conservation Trust) and Jeanne Robinson (Glasgow Museums), sponsored by Scottish Natural Heritage (SNH) and the Glasgow Natural History Society (GNHS) to survey the island’s insects and to investigate sightings of a very rare and special beetle. Walks and talks were organised on both islands and lots of people came along to find out more about the rare and interesting insects they share their islands with. There was even interest from the national media; a film crew came out to Tiree for a day to film for the National Lottery Awards, who have supported the Bumblebee Conservation Trust’s work on the islands. The visiting group were particularly interested in the short-necked oil beetle, Meloe brevicollis, thought to be extinct in the UK since the 1940s, before making a surprise re-appearance in Devon in 2007. No one expected that the next sightings would come last year from Coll, but a digital photograph sent to the beetle expert Darren Mann indicated that this was the case. These unusual looking beetles are dependent on solitary bees for survival. After hatching out of the soil, the beetle larvae sit around on flowers waiting for visiting bees to grasp onto. They must get to a bee’s nest, where they kill their young and feast on their pollen stores. Their host bee in the Inner Hebrides is the Northern Colletes bee (Colletes floralis) – also a rare species! Whilst the bees are doing very well on both islands, no oil beetles were found on Tiree. Coll however was found to be extremely active this year, with about 40 beetles being recorded from 4 different coastal sites over 2 and a half days. A local high school teacher from Tiree came along to the beetle talks and was keen to teach his students about the beetles and enlist their assistance in surveying for them. Hot on the heels of this peculiar beetle was Britain’s rarest bumblebee, the great yellow bumblebee Bombus distinguendus. Rather more mobile than the oil beetle, the queens emerge from hibernation mainly in June, and during the week were busy collecting pollen and searching for nests. 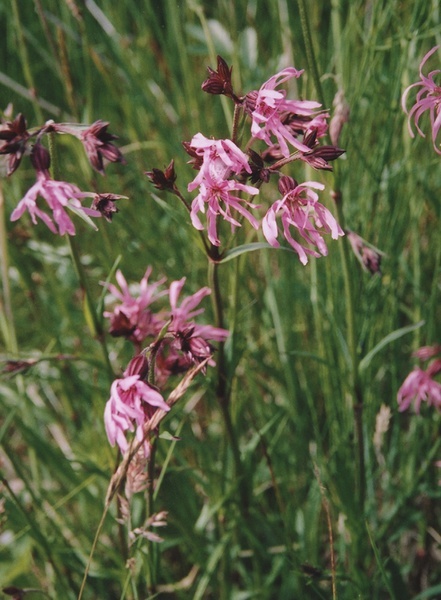 Tiree and Coll are important areas for this species in the UK, largely because of the machair and its management.